The Royal National Orthopaedic Hospital was having difficulty in achieving appraisal completion amongst its 1000+ employees. It was also concerned about the diminishing quality of completed appraisals and the effect on employee motivation, objectives setting and productivity. 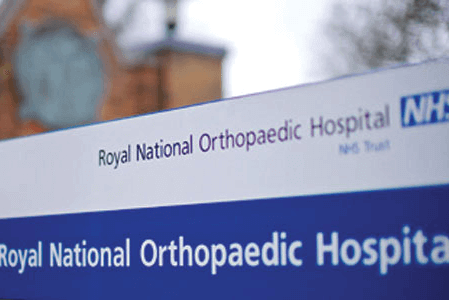 The RNOH wanted to develop a blended learning approach that would be different in style from a traditional training approach in order to engage all levels of staff. The eLearning solution was designed to have a shelf life so that new starters in the future would be able to achieve as much as a longer serving employee. It also served as a refresher for those employees that wanted to rehearse key points introduced in the face to face learning. Each channel was developed to be used on its own or as a part of the wider suite. It could be accessed by any employee regardless of position or experience. It was also designed to work as a refresher course for those wanting to rehearse points made in the classroom sessions. It was also designed to have a shelf life so that new starters could quickly be up to speed without the need for face to face training. The programme has immediately had a positive impact on the take up and completion of appraisals across the organisation. Early signs also suggest that the quality of appraisals has dramatically improved. Surveys suggest an increased level of staff satisfaction across all levels and departments. iManage Performance are now in conversations with RNOH about bringing a similar approach to their management training objectives.